18. The number of years Minnesota Eye Consultants has been involved with Artificial Iris research studies. We entered our most recent Artificial Iris study in 2013, with the CustomFlex® Artificial Iris however we began using Artificial Iris’ in 2000, as we were involved in a different study at that time. In 2010, we started using the now-approved CustomFlex® Artificial Iris using compassionate use process. 35. The number of eyes treated within just the most recent Artificial Iris research study at Minnesota Eye Consultants (2013-2018). Altogether, we’ve performed this procedure over 90 times since the year 2000, often under the compassionate use process. 0. The number of months until the U.S. Food and Drug Administration approves the CustomFlex® Artificial Iris. That’s right – 0. After approximately 20 years of being studied in the US, the CustomFlex® Artificial Iris has officially received the stamp of approval from the FDA. 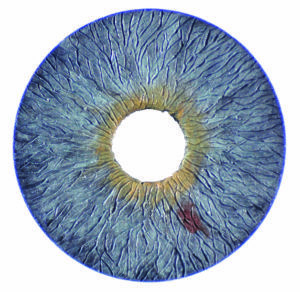 As a practice with a dedicated Research Department actively involved in Artificial Iris studies, we are ecstatic for this news and truly honored to have been part of this research for nearly the past two decades. You might be wondering, “What is an Artificial Iris?”. It’s a prosthetic iris intended to replace a patient’s missing or damaged iris (the colored part of the eye). The iris plays an important part in our vision, adjusting incoming light as we change environments. An absent or partially functioning iris can cause extreme light sensitivity and glare, and even impact the sharpness of vision. The newly approved device can be used on a variety of Iris defects (issues from a traumatic injury, for instance), but is often utilized by individuals with Aniridia (a disorder in which the iris is either partially or completely missing). Although rare, this can be devastating to those affected, both visually and cosmetically. The Artificial Iris not only offers these individuals improved vision by reducing light sensitivity and glare, but it also has the potential of cosmetically improving the appearance of the iris. Each CustomFlex® Artificial Iris is 100% customized to the individual in need, and the details and care put into each prosthetic iris is truly remarkable. In addition to the size of the device being personalized, the colors within the CustomFlex® Artificial Iris are created to replicate those in the iris of the patient’s uninjured or unaffected eye (if one is present). The silicone CustomFlex® Artificial Iris is made in Germany and as you can imagine, takes quite a while to customize for the patient (approximately 2 months). Although it often takes years after approval of a technology for insurance to cover devices (even when they are medically indicated), we couldn’t be more excited to be moving in the right direction. For more information about the Artificial Iris, please contact our Research Department at (612) 813-3607 or read the full press release.